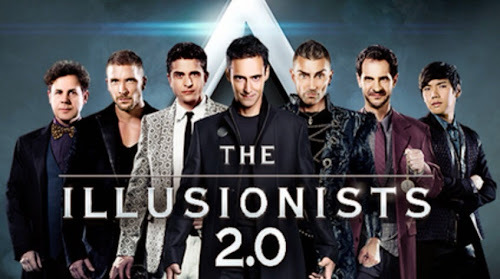 The show brings together seven “top” magicians from around the world, each of whom specializes in a different kind of magic. I think the “2.0” refers to the fact that it is the second version of the show, after a version with different magicians last year. The acts are called The Warrior, The Deceptionist, The Unusualist, The Futurist, The Manipulator and The Master Magician. I recognize there are only six listed there but I can't remember the other one (maybe it was “The Mind Wiper”). This may give you some idea of the types of magic on show, and I probably shouldn't say too much more for fear of spoiling any surprises. As an aside, anyone from the UK who watched “Britain's Got Talent” a couple of years ago, will recognize one of the acts. They provide 3D glasses which you are told to put on at certain points of the show. I have to say I don't think they added much to proceedings. We were sat on the balcony (very plush seats by the way, and far more leg room then you get up in the gods in theaters in the UK) and the view was generally good, although it was a little tough to make out the details at some points (I think the camera work for the big screens could do with some more practice). The sound quality was also a little poor on occasion. But all of that didn't detract too much from the overall quality of the show. They've made the audience disappear! There was plenty of audience participation (thank goodness we were upstairs), and one of the highlights was a “card” trick involving all members of the audience. When they get to that point, and you will know when they do, make sure you help any young children through it, as the moves can get complicated and there are lots of them. 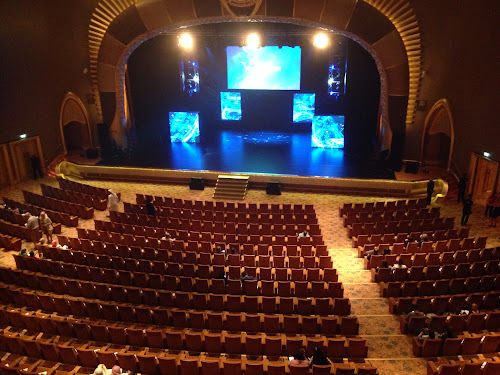 It seemed to work for a fair proportion of the audience which was very impressive. All in all it was a very enjoyable, if cheesy in places, show. Archie and Flossie in particular enjoyed it, although they were shattered by the time it finished, not long before midnight (despite being advertised to start at 9:00pm it was 9:30pm before they came on). There are definitely moments when you genuinely wonder “how on earth did they do that?”, which I suppose is what you want. Would I recommend the show? Definitely, especially if you have kids.